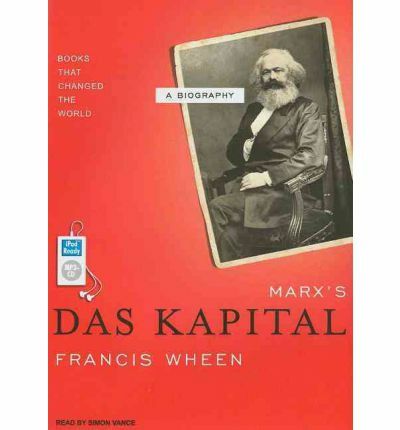 In this brilliant book, Francis Wheen, the author of the most successful biography of Karl Marx, tells the story of Das Kapital and Marx's twenty-year struggle to complete his unfinished masterpiece. Born in a two-room flat in London's Soho amid political squabbles and personal tragedy, the first volume of Das Kapital was published in 1867 to muted praise. But after Marx's death, the book went on to influence thinkers, writers, and revolutionaries, from George Bernard Shaw to V. I. Lenin, changing the direction of twentieth-century history. Wheen shows that, far from being a dry economic treatise, Das Kapital is like a vast Gothic novel whose heroes are enslaved by the monster they created: capitalism. Furthermore, Wheen argues, as long as capitalism endures, Das Kapital demands to be read and understood. About the Author: Francis Wheen is an award-winning columnist for The Guardian in London, and the deputy editor of Private Eye.Simon Vance is a prolific and popular audiobook narrator and actor with several hundred audiobooks to his credit. An Audie(R) Award-winner, Vance was recently named "The Voice of Choice" by "Booklist" magazine. Note: This Audio Talking Book is in mp3-CD formatting. This means it will only run on a cd player specially outfitted to play mp3-CDs. It as well can be installed onto a pc or mac and duplicated over to various mp3 players and played on them.